Because the National Geospatial-Intelligence Agency (NGA) provides geospatial intelligence services to a wide spectrum of users including US policy makers, the armed forces, intelligence agencies, and first responders, it needed greater data interoperability. But, as with many mature organizations, NGA's data and applications weren't designed for the demands of immediate accessibility. So the agency is migrating to a cloud-native environment to make its computing resources instantly available across the enterprise. 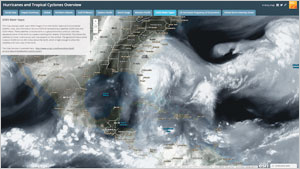 "Getting our data into the cloud environment, where it is easily accessible and useful, is incredibly important to us," said Susan (Sue) Gordon, deputy director of NGA. "We needed to get our data in a place that would protect it, make it application agnostic, and allow it to be quickly retrieved—and the cloud is perfectly designed for that. From this point forward, we will develop everything in the cloud." Gordon is known as NGA's innovation advocate and, among other initiatives, has introduced new programs to further NGA's relationships with vendors, including the Commercial Initiative to Buy Operationally Responsive GEOINT, or CIBORG. This is a partnership with the General Services Administration to facilitate purchases of commercial GEOINT capabilities and services. 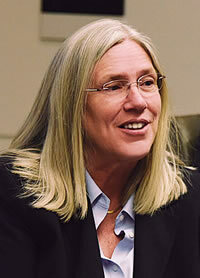 Gordon became the agency's deputy director in 2015 after more than 25 years of service with the Central Intelligence Agency (CIA), where she served concurrently as the director of the CIA's Information Operations Center and the CIA director's senior adviser on cyber. She recently spoke with Esri about the importance of GIS at NGA and her plans for future innovation at the agency. Secondly, we will take our existing data, put it into the cloud, and redesign the apps that use that data so that they both operate seamlessly in our cloud environment. Adapting our legacy systems to the cloud environment is the most challenging and forward-thinking thing we're doing. The third part of our cloud migration strategy is to make data more available on all classifications—not just top secret, where the intelligence community typically operates, but also at the secret and unclassified levels, where our combat support partners and customers work. We're expanding its use for humanitarian relief and other civilian operations as well. NGA uses what's called the IC GIS Portal to collaborate and share data across the intelligence community. What are some of the successes of this initiative, and do you anticipate its use to grow? 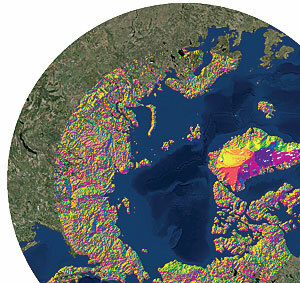 The IC GIS Portal, which is our first GEOINT service and provides easy access to NGA data, is now about two years old. Within that time, we've grown from zero users to almost 60,000 users worldwide. One of NGA's core missions is to provide mapping and charting products for the intelligence community. 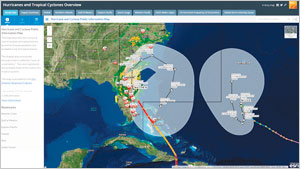 How is NGA modernizing the process to manage, produce, and share GEOINT? 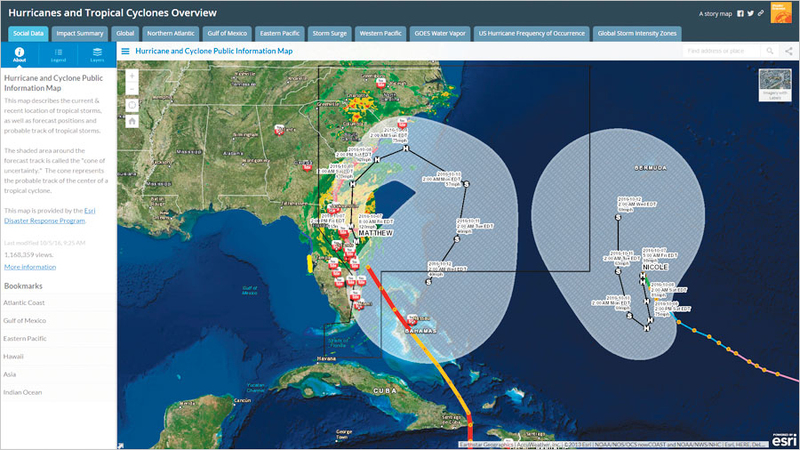 Recently, NGA made efforts to improve its transparency to the public and increase its support of disaster relief efforts and other activities using unclassified data. 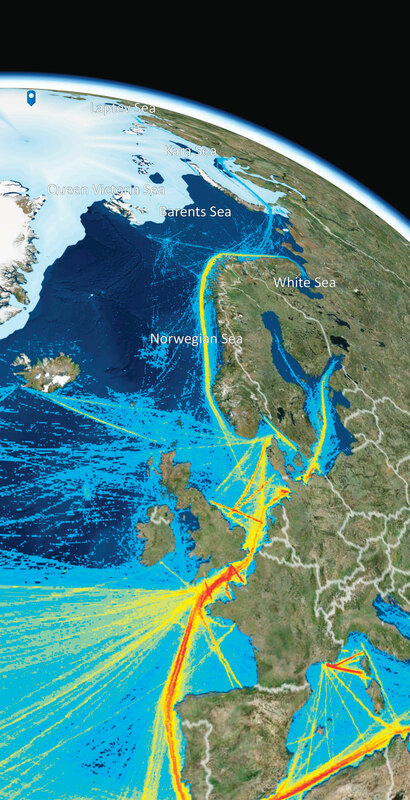 How would you describe NGA's success in the use of ArcGIS Online in support of Hurricane Matthew and the Arctic Support Data? NGA director Robert Cardillo talks about creating coherence from chaos. That's really what this is about. How do we take the vast amount of data that exists and structure it in a way that lets us better analyze and understand the situations that confront us? GIS is so important to integrating this data because it all needs to be maintained in a common format and displayed within a common framework. That's the approach we're taking with data: It looks noisy; yet we can turn it into something that is widely understood, and then we can act on that data together.